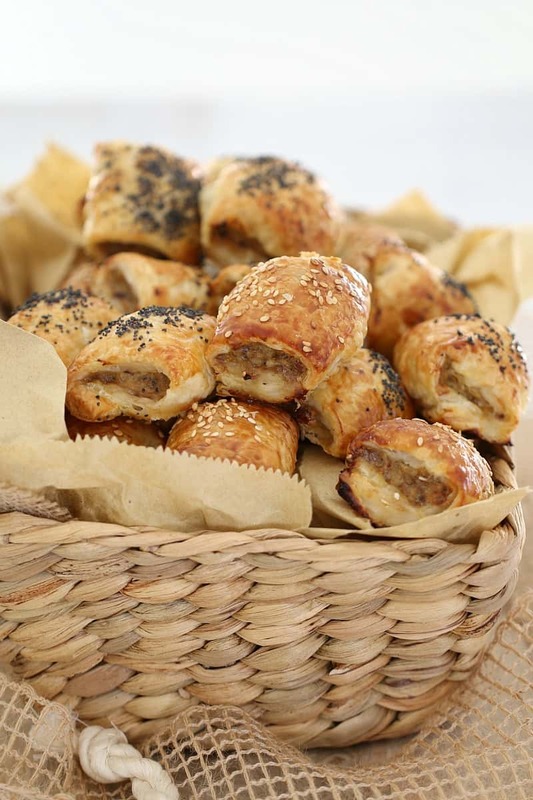 You can’t go past these quick & easy lamb sausage rolls for a yummy snack or delicious lunch! Plan ahead by making a double batch and popping them into the freezer. 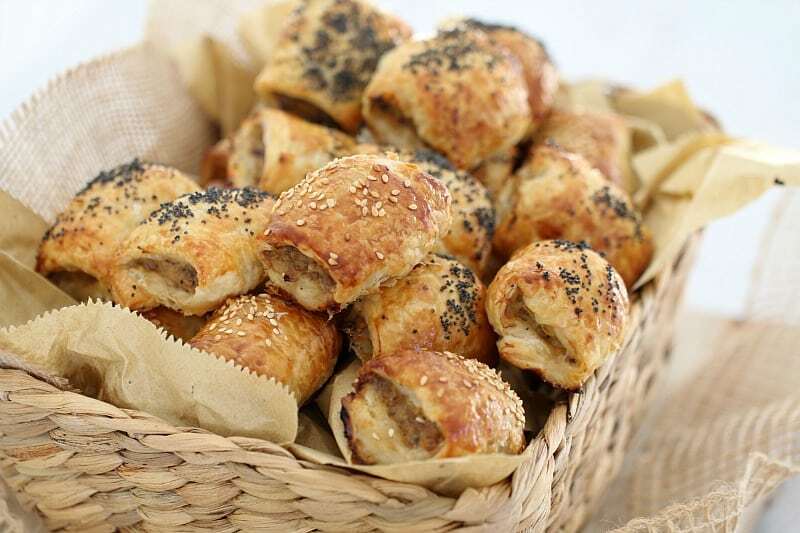 Is there anything better than the smell of fresh sausage rolls baking in the oven? I don’t think so!! 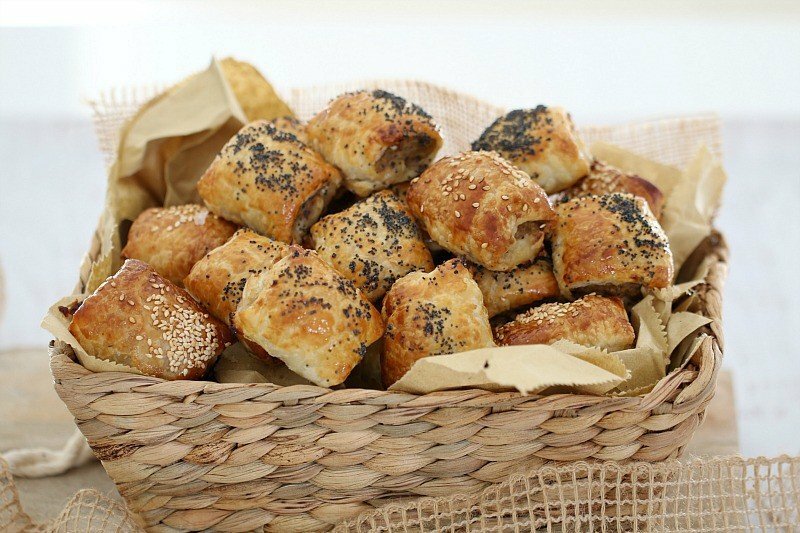 Not only do these lamb sausage rolls smell great… they taste just as amazing. Actually, they probably taste even more amazing (if that’s possible). These lamb sausage rolls really are the quickest and easiest things ever. In fact, every time I make them, I wonder why on earth I don’t make them more often (and it’s not just because they make my house smell SO darn good!). 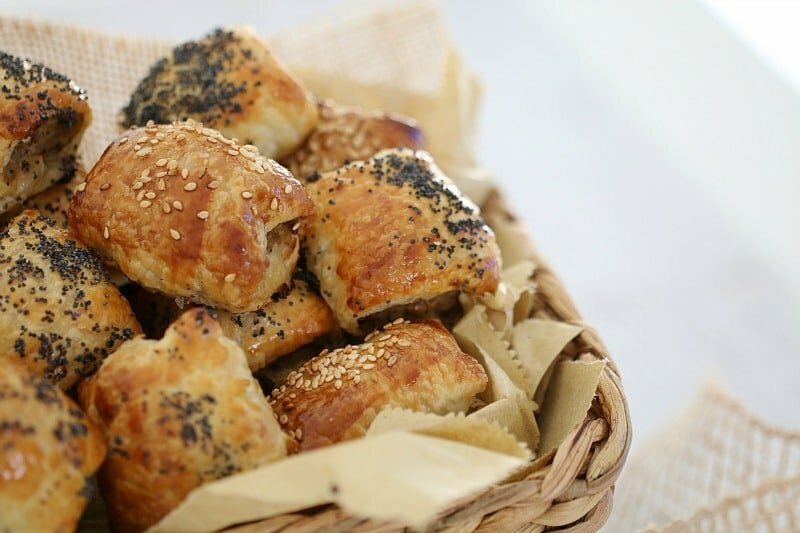 I love to add a bit of crumbled feta to my sausage rolls… because well… we all know how well lamb and feta go together – and it really is no different in these yummy rolls. The feta just seems to make them 1000% times better. 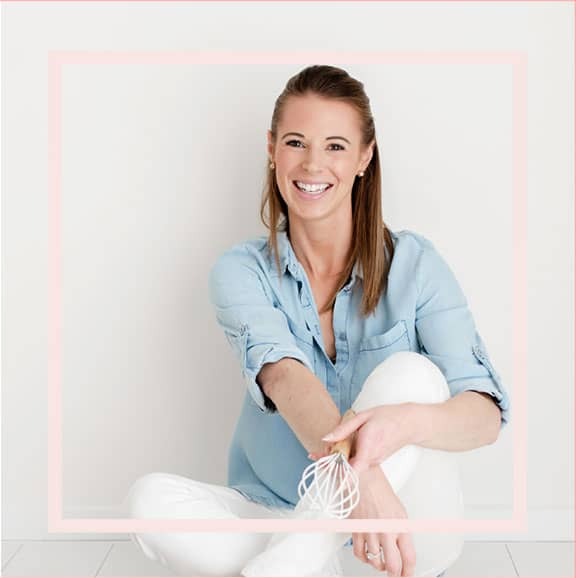 If you’re not a huge fan of feta (what!!???!!! ), I’d still recommend adding in a little bit, because it’s definitely not overpowering at all. Pinky promise. When I make sausage rolls, I always make at least a double batch. Why? Well because they’re perfectly freezable, which means that you have a quick and easy lunch or dinner ready… all the time! And who doesn’t love that?! I just place a few rolls into sealable plastic bags and pop them into the freezer. Seriously easy. So what’s not to love about these perfect people-pleasing lamb sausage rolls? They’re quick, easy (and you’ll be fighting your kids over who gets the last one). 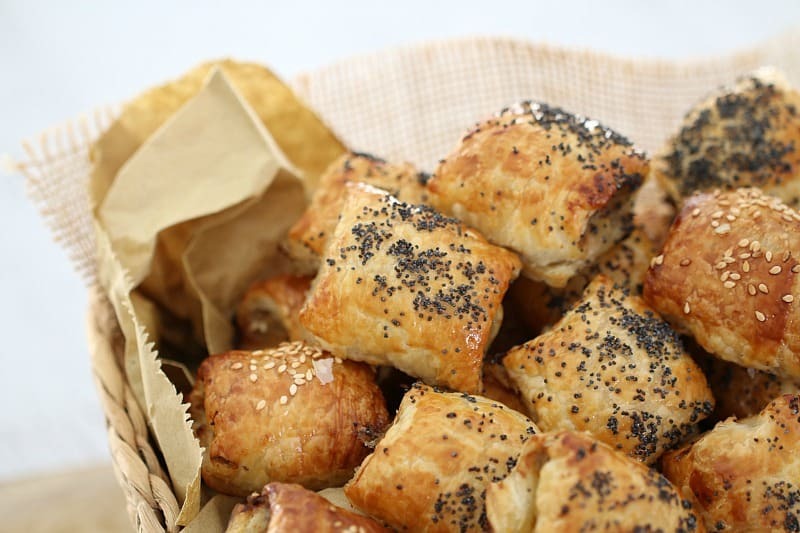 Speaking of kids… these sausage rolls make a great little lunchbox filler (and a nice change from the same old sandwich). You can even pop them in frozen in the morning and they’ll be defrosted by lunchtime. Then it’s just a matter of dipping them into a bit of sauce and nibbling away. Trust me, they’ll love you for it! 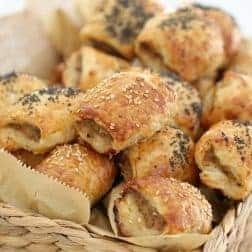 If you’re a fan of sausage rolls (like me! 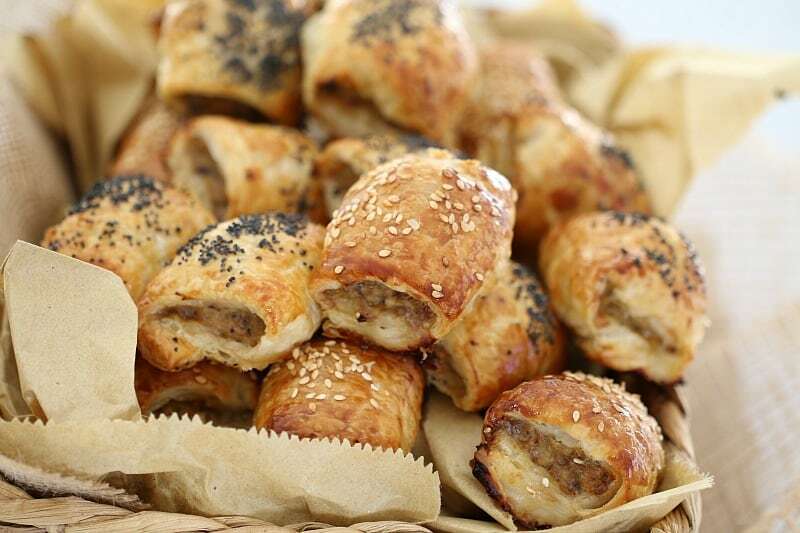 ), then make sure you check out my traditional sausage rolls, as well as my chicken and vegetable sausage rolls. Yep, we really like our sausage rolls in this house – clearly!! 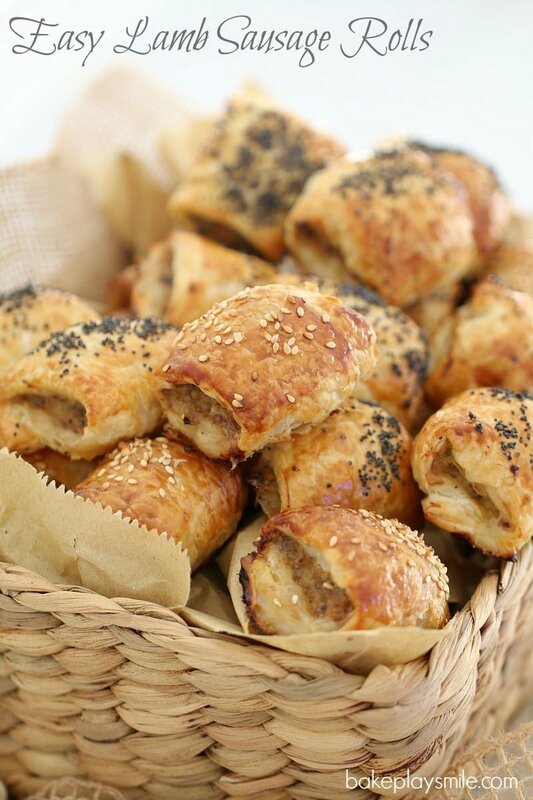 You can't go past these quick & easy lamb sausage rolls for a yummy snack or delicious lunch! Plan ahead by making a double batch and popping them into the freezer. Place the lamb mince, breadcrumbs, feta cheese (optional) and minced garlic into a large bowl. Season with salt and pepper and mix well until combined. Use a sharp knife to cut each pastry sheet down the middle (so that you have two long rectangles from each sheet). Place one-sixth of the sausage roll mixture down the centre of each pastry half and roll to enclose. Place the seamed side down. Cut each roll into 3 equal pieces. Place the rolls onto 2 baking trays lined with baking paper. Brush the pastry lightly with the whisked egg and sprinkle with poppy seeds or sesame seeds. Cook for 20 minutes or until golden and crispy. Place the brown onion into the TM bowl and chop on Speed 8 for 5 seconds. Add the lamb mince, breadcrumbs, feta cheese (optional) and minced garlic into the TM bowl. Season with salt and pepper and mix on Reverse Speed 4 for 20 seconds or until completely combined. Yum! 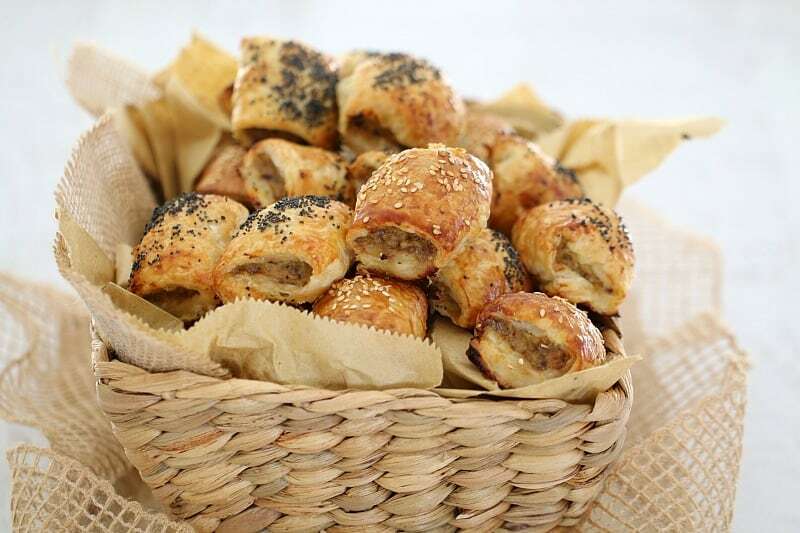 Lamb and feta are the best – especially in sausage rolls! Quick question – is the lamb meat cooked before it goes into the roll? Or does it go in raw and cooks through in the oven? Hello, You mentioned including a dipping sauce with the lamb sausage rolls. What kind of sauce? And do you make it yourself?